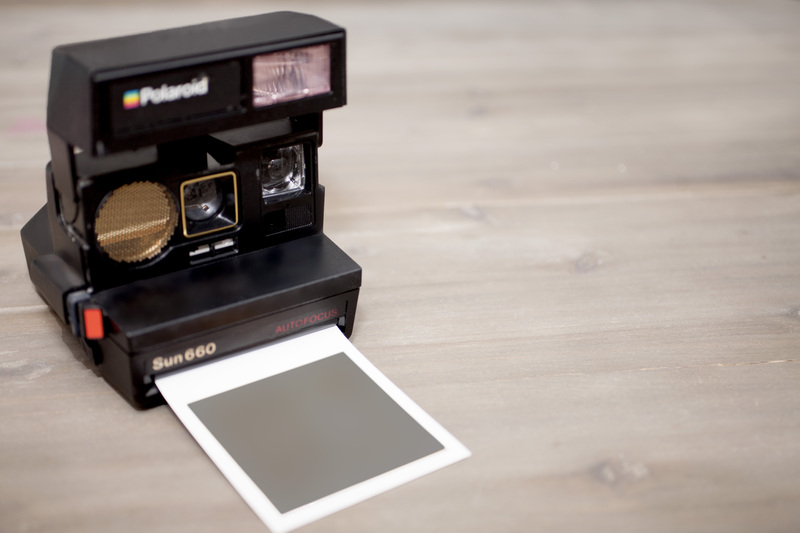 The Polaroid Camera was an early source of instant gratification. You snapped a picture and out popped the picture. Of course you had to wave it around in the air and wait for whatever chemicals were present to dry, but it was fast. Have we become a new generation of consumers who want something immediately when we click a mouse or push a button? Yes and no. Our frustration with the spinning wheel on our Mac computer or the hourglass on Microsoft grows every minute it is on the screen, doesn’t it? You could microwave a pizza or make gourmet coffee in a Keurig in the time it takes for some files or pictures to load. Is the answer faster computers or cable service? Or do we need to find a balance between quicker and better? 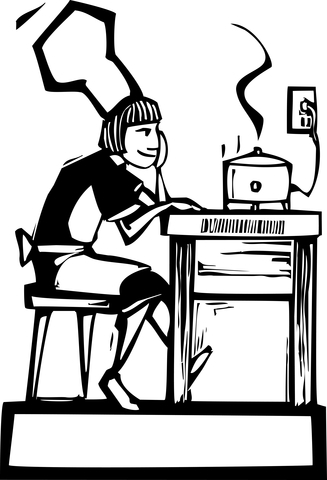 Is this you at work, in the kitchen, or on your computer? 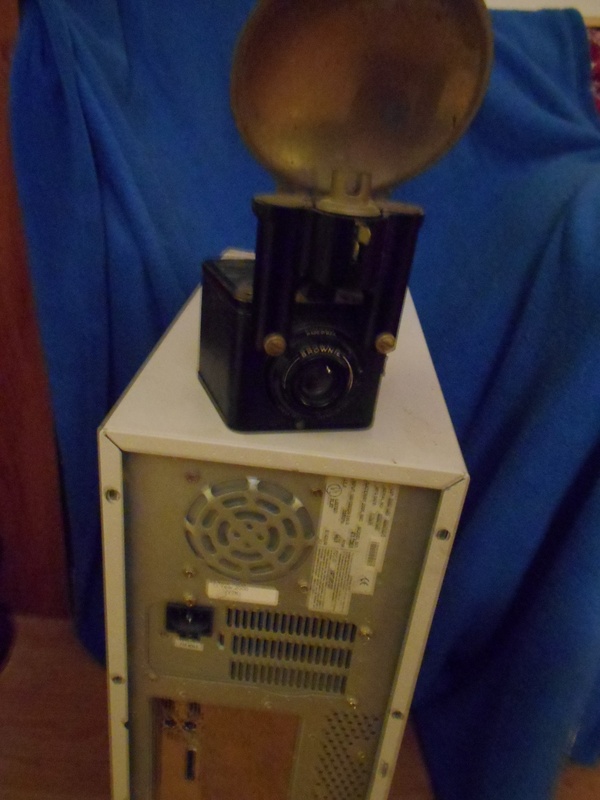 Obsolete Brownie Camera on old computer tower. However, we run the risk of becoming addicted to toys like the one where you have a short time to enter a sequence of musical notes by pressing colors to compete with the toy. I can’t mention the name but you may remember the family on American Dad became addicted to playing it. Quality work, meals, and writing take time but once you find how long it should take, you can relax and do something valuable while you wait. The recipe that follows is a joke but feel free to use it. * Do this only if necessary because some people do not like to find hare in their stew. OR you could read my book in under three hours – Mystery at Pima Point available on Amazon. This entry was posted in Time, Writing and tagged cameras, Cooking, instant gratification, technology, time. Bookmark the permalink.